The Patronat Municipal de l'Habitatge has opted since 1997 for including sustainable building and energy management criteria in all its projects. 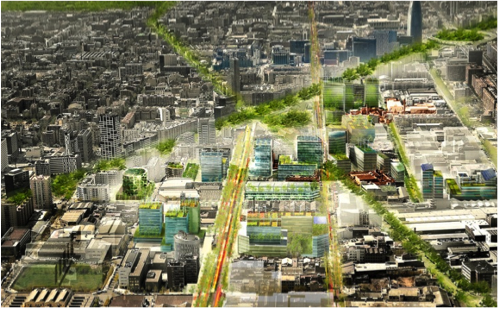 BIMSA reserves 10% of the architectural competitions awarding criteria for environmental and energy efficiency improvements, and bets for the incorporation of control systems for the environmental standards offered. 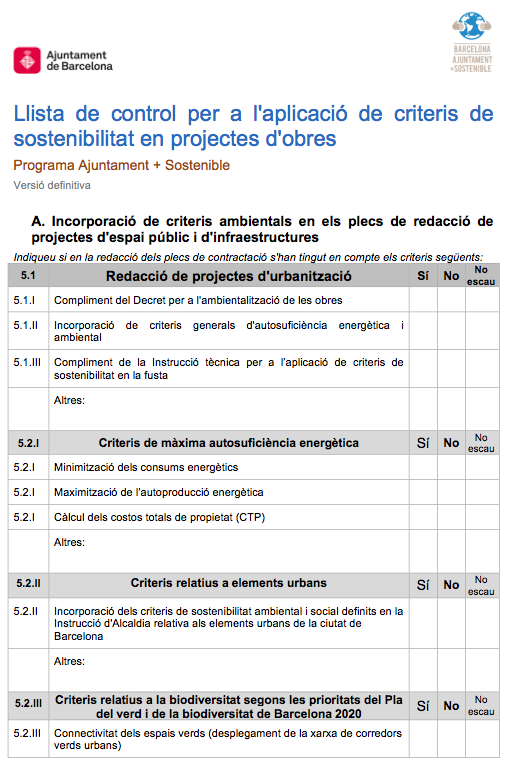 Sustainability Criteria in Public Works Projects (2015) establish the minimum criteria to be included in contracts for drawing up architectural, public-area and infrastructure public works projects and the execution of that work with the aim of achieving the maximum energy, water and general environmental self-sufficiency. For all contracts the instructions establish the application of the Mayoral Decree on Greening Public Works, the timber instructions and general environmental and energy self-sufficiency criteria. In the case of drawing up urban development and infrastructure projects, environmental criteria concerning urban elements, water self-sufficiency, biodiversity and ITC features must be included. In the case of drawing up building projects, the instructions establish the inclusion of detailed criteria related to maximising energy, water and environmental self-sufficiency; criteria concerned with biodiversity and other environmental excellence standards. In the case of executing the work, the instructions establish specific criteria related to improvements of the quality control, the energy efficiency, the comfort and the maintenance.